The only thing I love more than warm bread is making bread. I enjoy nurturing the dough, shaping it, waiting for it to rise, letting it cook to perfection, the smell filling our house while it cools, ready to be sliced. To be honest, this is where Mangy and I struggle. 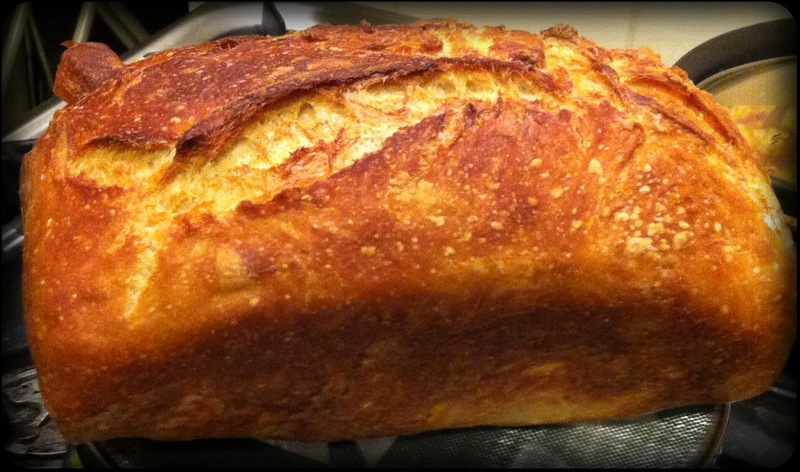 We have never really waited for bread to cool before hacking our way through a loaf. As much as we adore homemade bread, with our busy schedules we don’t always have the time or energy to make bread the traditional way. So after a bit of googling, we found this recipe. Jaden from the steamykitchen.com claims making bread this way is so easy her 4 year old has mastered it. I don’t have a 4 year old handy, so I had to test this recipe out on my husband. Dump all of the above in a large bowl, mix well with a whisk. I use a flat whisk, so the dough doesn’t get stuck in it. Otherwise a wooden spoon should work fine. Although the recipe calls for 1 1/2 cups of water, I needed about 2 tablespoons more, just to bring the dough together. Then cover tightly with glad wrap and leave to rise for about 20 hours. It does seem like a long time, but it works. 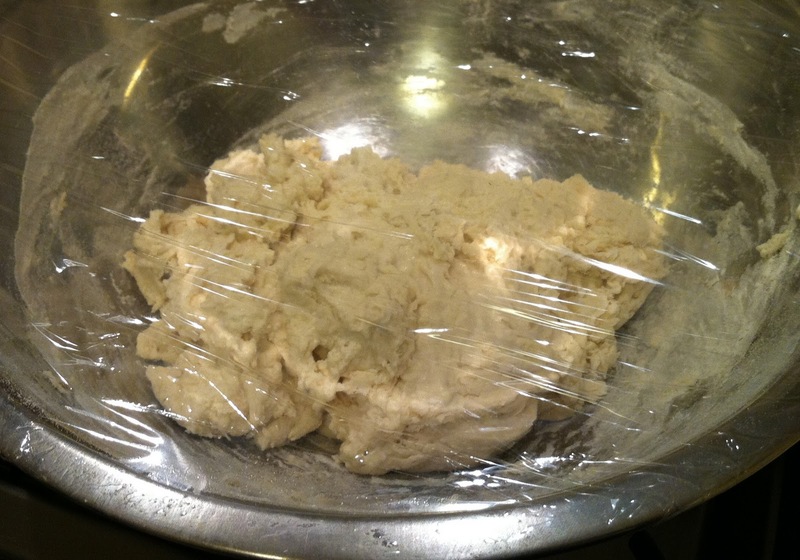 As you’re not kneading the dough, the yeast needs a little extra time to do it’s thing. If it’s a cold night, leave the bowl in an oven with the oven light on. 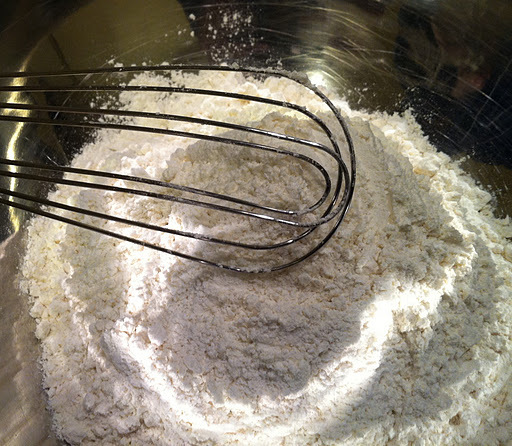 The next night, dust your counter with flour, pour out the dough on to your counter top. It will be a sticky shapeless soft dough. 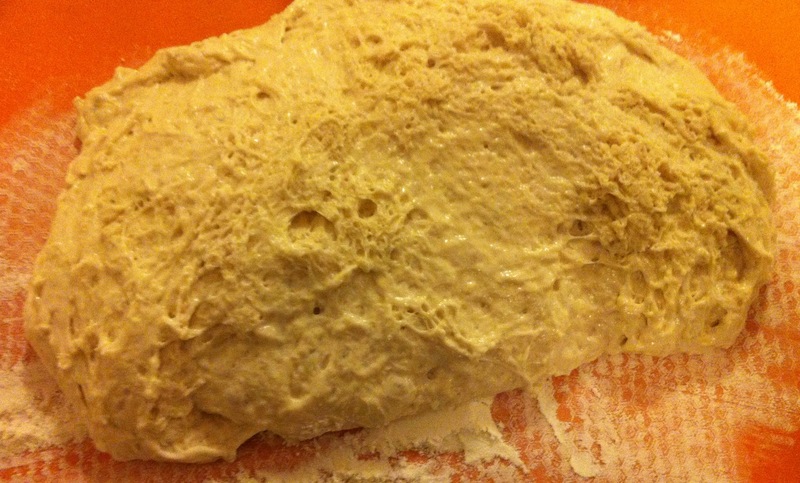 Cover your hands with flour and press down into the dough, slightly flatten to form a rectangle. Fold it in half, and then half again. We let the dough rise again in a loaf tin lined with chux or a tea towel for an hour or two. After a couple of hours, it’s ready to bake. You will need a covered oven proof pot. Either a clay baking pot, cast-iron or Pyrex will work. Place in your oven to heat, making sure your oven is at max temperature. Ours is about 300 degrees. Once it’s heated, carefully peel off the chux or tea towel and plop the dough into your heated pot. Cover and bake for about 45 min at 200 degrees. After 45 minutes, uncover and continue baking for about 10 minutes. We don’t own any of the above cookware. 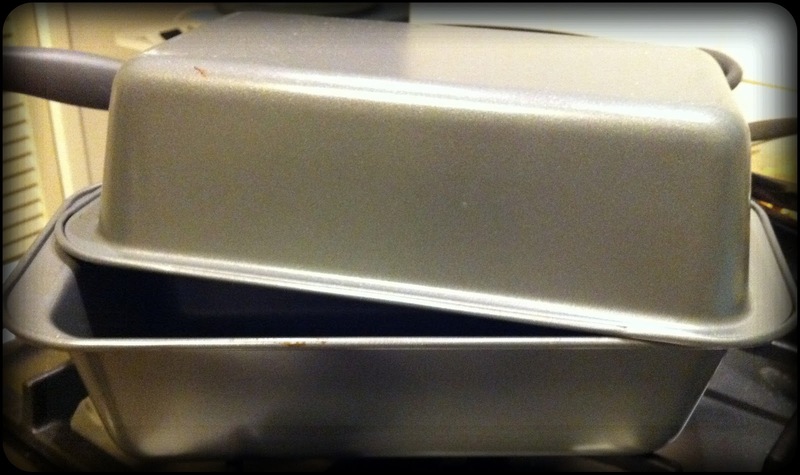 We took 2 identical loaf tins and simply heated them both and used one tin to bake, and the other as a lid. It worked pretty well, the bread had a beautiful crust. I suspect we will be relying on this recipe for our daily bread. It would be easy enough to prepare on a weeknight and bake the next night for breakfast the following day. I’m sure Mangy is glad that he bakes bread as well as a 4 year old. It was tough competition after all.